On December 6th, 1994, Orange County California became the largest municipality in U.S. history ever to file for bankruptcy. The financial difficulties leading to the bankruptcy were the direct result of an enormous gamble with public funds taken by a county treasurer who was seriously under-qualified to deal in the kinds of investments he chose. However, the products sold were extremely leveraged buying long-term and selling short-term and when leveraged, the slight difference in rates between 30 years and 10 year for example when reflected back to the actual money invested had the potential to dramatically increase interest income. 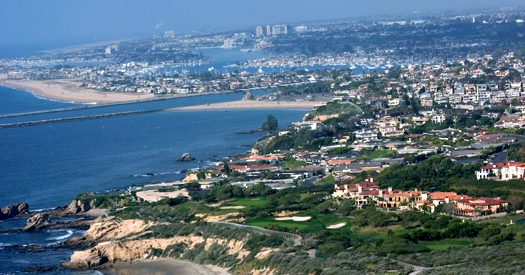 Because of the treasurer reliance upon Merrill Lynch and Orange County’s national reputation as a land of rich, spoiled, arch conservatives, and because the bankruptcy did not play out as other municipal financial crises have, many observers have dismissed it as an anomaly created solely by trading rather than fiscal mismanagement. Merrill Lynch settled with Orange County, California, for a massive $400 million to settle accusations that it sold inappropriate and risky investments to former county treasurer Robert Citron . Citron lost $1.69 billion, which forced the county to file for bankruptcy in December 1994. The county sued a dozen or more securities companies, advisors and accountants, but Merrill settled without admitting liability in June 1998. The county was able to recover about $600 million in total, including the $400 million from Merrill. How did Orange County wind up in bankruptcy and how did it emerge from bankruptcy only 18 months later? As municipal financial crises go, the story is—on the surface—unprecedented. Looking only at the surface, one could conclude that this was just a matter of a rogue trader run amok, in a county of high-income voters who do not want to pay their bills, in a state where a Democratic state legislature did not want to bail out an arch-Republican county. In other words, it is something unlikely to have much relevance for the rest of the political and financial world. However, a deeper look at what happened counters that conclusion. What Brought Down Orange County’s Financial House? Having kept him in office for 24 years, the voters of Orange County had every reason to believe County Treasurer Bob Citron was a capable, experienced financial manager. However, about two or three years before the bankruptcy, Citron embarked on an investment strategy that very few people in the county were aware of and even fewer understood. In charge of the Orange County Investment Pool, he had, by 1994, about $7.6 billion in deposits in the pool from the county government and almost 200 local public agencies (Orange County cities, school districts, and special districts). Some of these agencies (e.g., schools) were required to invest their funds in the County Investment Pool. Many others voluntarily joined, attracted by the high interest rates Citron realized and aggressively advertised. His strategy was to use the funds on deposit to borrow money to invest in derivatives, inverse floaters, and long-term bonds that paid high yields. He then borrowed more money, with the borrowed money as collateral (see Table 1). For reasons related to the aftermath of Proposition 13, Orange County relied more than other counties in the state on interest income: In FY94, interest amounted to 12 percent of revenue for Orange County—in contrast to 3 percent for all other California counties. Citron was driven by the need to raise more interest income for local governments, whose tax allocations had recently been cut again by the state. For the FY95 budget, he promised that interest earnings would account for 35 percent of the county’s general fund revenues (Figure 1). In this context, he took more risks. The size of the pool increased to $20.6 billion in 1994, as he borrowed $2 for every $1 on deposit (Figure 2). In essence, as The Wall Street Journal noted, he was “borrowing short to go long” (Editorial, The Wall Street Journal, December 9, 1994) and investing the dollars in exotic securities whose yields were inversely related to interest rates. Unfortunately, also in 1994, the Federal Reserve Board began and kept on raising interest rates and Citron kept buying securities in the desperate belief that what went up must come down. At least one person understood enough about the financial strategy and situation to sound an alarm: Citron’s opponent in the spring county treasurer’s race repeatedly charged that the county pool had suffered serious losses and was not solvent enough to repay the Wall Street firms for the huge short-term loans. But no one listened—not the county government, not the savvy Orange County investors, not even the media. Most everyone dismissed the charges as a Republican vendetta against the only elected Democrat in county government. Most everyone also seemed intent on overlooking the common wisdom that high-return investments are almost invariably high-risk investments—and the higher the return the higher the risk. Citron won reelection and continued to bet on lower interest rates, borrowing $600 million more and buying throughout the summer. A year earlier, he was warned about the potential danger the high-risk securities posed and one firm even offered to buy back some of the riskier ones. But he refused and they continued to sell to him. Although county business leaders began to hear rumors in early fall from their Wall Street contacts that something was amiss, they did not follow-up with Citron nor with the county supervisors. Even if they had, they might not have gotten a hearing. As the then-Chairman of the Board of Supervisors said, “It doesn’t bother me that he is a Democrat. This is a person who has gotten us millions of dollars. I don’t know how in the hell he does it, but he makes us all look good” (“Tax Collector To Meet Second Challenger in 24 Years,” Los Angeles Times Orange County Edition, April 2, 1994, p. 1). No one paid attention until the walls began to tremble. In November, auditors told county officials that Citron had lost about $1.64 billion. In early December, the supervisors realized that the county did not have the cash to withstand a run on the money by Wall Street lenders and the local- government pool depositors. With that, the financial house came down. The supervisors asked for and got Citron’s resignation. As the county unsuccessfully tried to sell off the risky securities, the lenders threatened to seize the county pool securities they held as collateral. After the first bank took this action, the county government declared bankruptcy on December 6, 1994. How Did Orange County Recover? The trip back from bankruptcy was hard and marked by false starts and breakdowns. The county’s credit rating fell to “junk” status. The Wall Street firms continued to sell off the billions of dollars in securities that they held as collateral. Called in to manage the county pool, former state treasurer Thomas Hayes sold off the risky securities, establishing the pool loss at $1.64 billion. He also set up a mechanism to allow the local governments to withdraw some of their funds from the pool on an emergency basis. The Board of Supervisors appointed the county sheriff and two other county officials to a crisis team to keep the county government working. They also appointed a local financial executive, William Popejoy, to the newly created position of chief executive officer for the county in early February. Popejoy initiated severe staff and budget cuts necessary to balance the budget and removed county officials tainted by the fiscal collapse. Three local business executives led a negotiating team that arranged a settlement between county government and the pool investors to divide the remaining pool funds. Under the settlement, the latter could get most of their deposits back immediately and were promised the rest at a later date, on condition that they not sue the county government. However, debts were still mounting and a worse financial crisis seemed imminent: $1 billion in bonds were coming due in the summer months and the bankrupt county had no way of borrowing this money. With no other apparent recourse, in March 1995 the Board of Supervisors put a proposal on the ballot for a half-cent sales tax increase as part of the financial recovery plan for Orange County. They did this even though polls showed that it was doomed and even though local governments were against it. The voters rejected this increase resoundingly on June 12, 1995. That rejection led the national press to characterize them as deadbeats who refused to honor the “full faith and credit” understanding that is the basis on which financial institutions lend to governments, and state and municipal bonds are offered to the public. In another shock to observers familiar with the historical model of municipal financial crises, the state refused to bail the county out. The county would divert tax funds from other county agencies (e.g., transportation) so the county government could borrow the money to pay bondholders and vendors. The local governments who lost money would agree to wait for full payment until the county wins the lawsuits it filed against Wall Street firms for their alleged culpability in the bankruptcy. The county would issue $880 million in bonds to pay the debt on existing bonds, refinance other debt, pay for bankruptcy litigation, etc. The state legislature passed the bills needed to divert the tax dollars to a recovery fund and the governor signed the bills in October 1995. The county presented its recovery plan to the U.S. bankruptcy court in December 1995. In June 1996, the county sold the $880 million in bonds and the bankruptcy officially ended on June 12th—just 18 months after it was declared.